Just the right amount of chocolate to satisfy your craving. 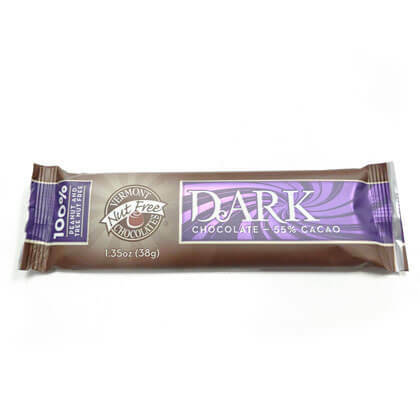 This bittersweet dark chocolate is made in a completely nut free facility. Bar is approx. 5.5 inches by 1.5 inches. 1 bar.